Selling real estate has changed in the last decade. The old methods of selling Franklin homes is not applicable anymore. Many agents haven't learned how to "think outside the box". Instead, they mimic what other agents are doing in hopes they'll have different results. These agents lack the natural ability to differentiate themselves or their listings from the other homes on the market. Having your listing look like every other house is the worst thing an agent can do. By creating listings that blend in with the crowd, agents miss an opportunity to get their listings in front of buyers. Looking "average" is one of the best ways to be forgettable and ignored by buyers. That being said, it isn't easy to be creative or original. That's why so many listings are boring and uninspiring. Agents have a pre-conceived notion of what a real estate listing is supposed to look like and unsuspecting sellers buy into it. Rather than blending in with the other listings, your home should stand out. 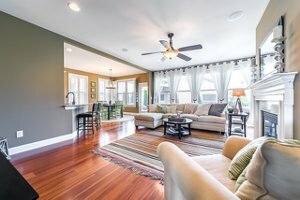 Franklin Homes Realty LLC has found a way to promote your home by clearly communicating why your house is the deal of a lifetime--why buyers would be absolutely crazy not to BUY your house! We've done what no other agents are doing, we whet the appetite of prospective home buyers by writing compelling advertising copy. That can't be accomplished within the context of your MLS listing because the Middle Tennessee multiple listing service limits the number of characters in the description of your home. The only way to get the attention of buyers is to create compelling content. We have created hundreds of pages of content attracting thousands of home buyers to our website. Instead of just creating a brochure that is only viewed by the buyers who come into your home, we create blog posts that can be found by home buyers online 24/7; bringing your listing in front of the 92% of buyers who begin their home search online. As a result, we have sold 100% of our listings over the last four years. 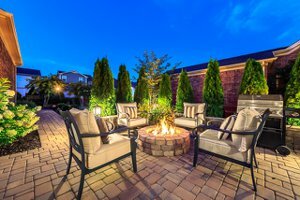 Let us show you how you can have your home SOLD! by Franklin Homes Realty LLC. Cambridge plan is a 3 bedroom one level living cottage home with bonus room and full bath on 2nd level.